Been aware of Kirschner Brasil’s jerseys for a little while, mostly due to their bold use of sweet, sans-serif fonts. Looks as though they’re adding a few new products to their jersey lineup. 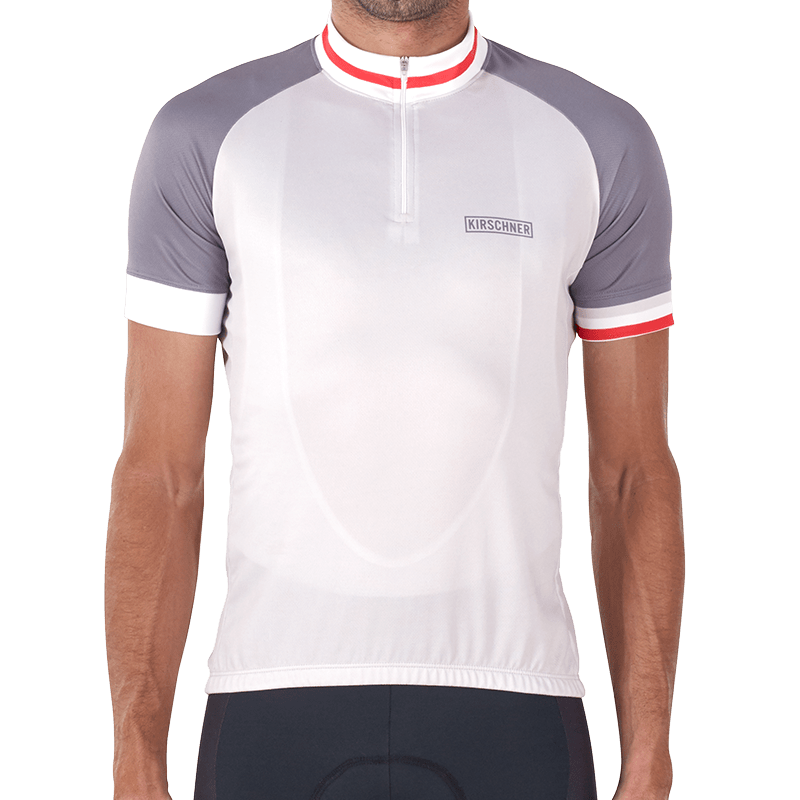 This Spring Kirschner is releasing a new jersey. As well as adding a wind vest and three variations of socks to their range of products. Pedal II / 001 Jersey – the evolution of Kirschner’s bestselling Pedal I jersey, featuring a refined race cut. It’s red and gray colorway is inspired by riding into the vibrant sunrises and sunsets that grace the Serras mountains around their HQ. 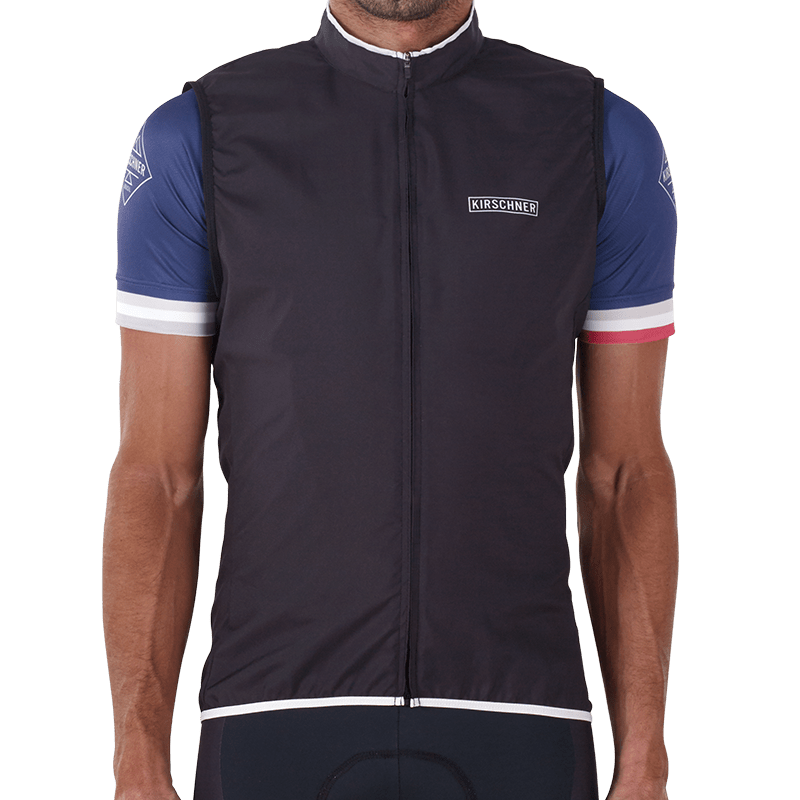 Campos Vest – this is Kirschner’s take on the cycling essential. 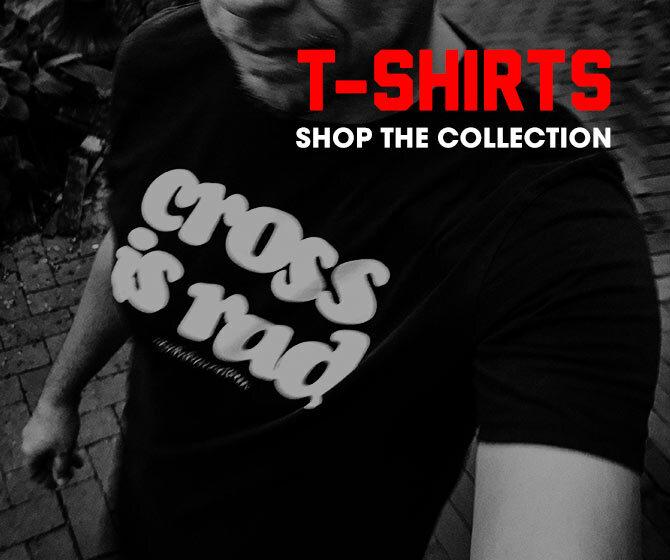 Wear it to keep warm in the cool mornings and on long descents, or to protect yourself from the wind or a spot of rain. Check out the vest. 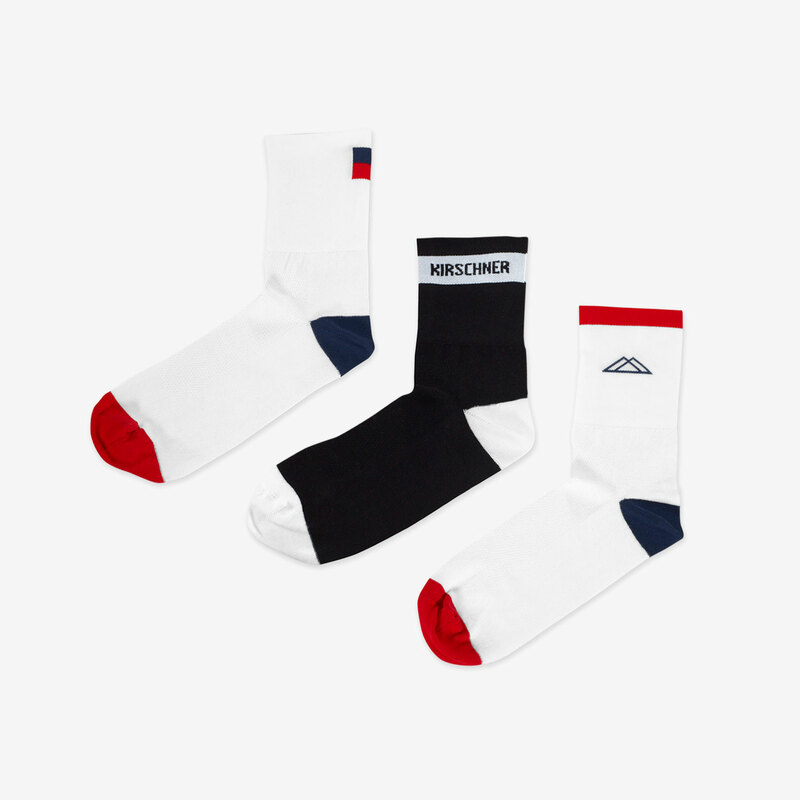 Socks – Freshen up your cycling style with Kirschner Brazil socks. Crisp white or cool black, featuring retro styling and the distinctive Kirschner mountains motif, to remind you of those rides that you just don’t want to end. Check out the socks.